Download the plugin from CodeCanyon, unpack it and upload the [Contact Form 7 Multi-Step] folder to your wp-content/plugins/ directory. 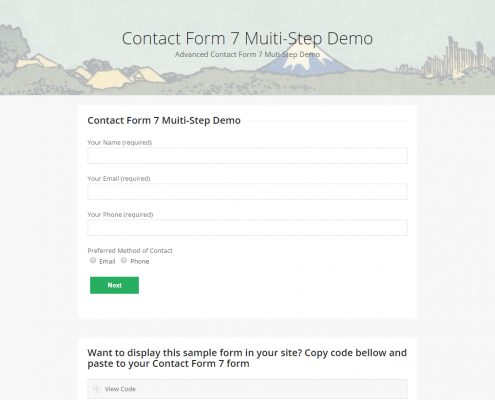 Go to your Contact Form in WordPress left menu > Contact to add step tag and click Save Changes button. 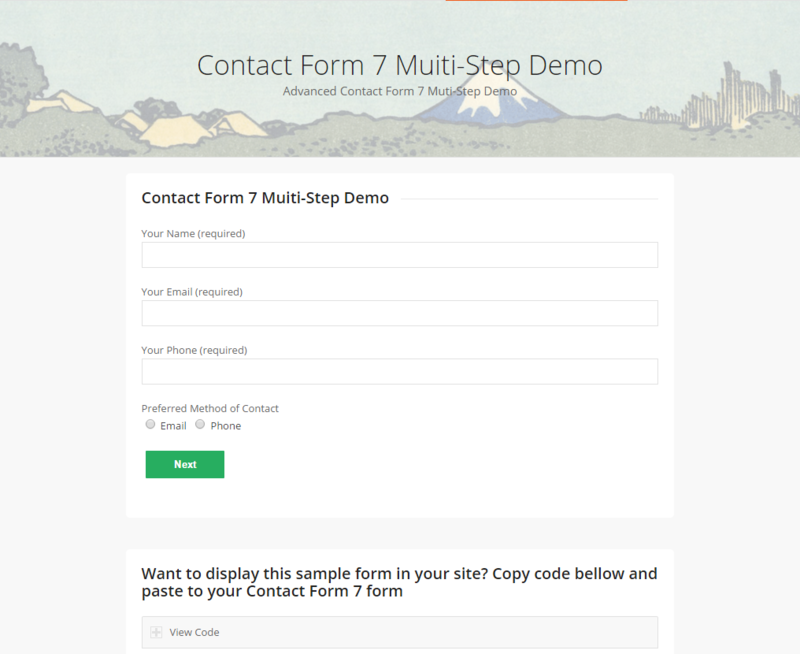 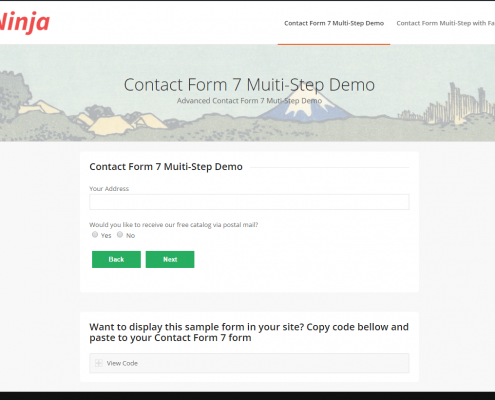 Any buyers of Contact Form 7 Multi-Step can submit a ticket HERE to get instant support from us. 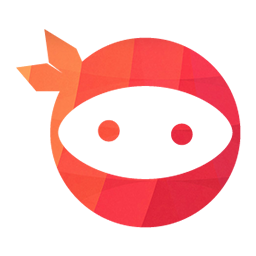 Once again, thank you so much for purchasing our products. 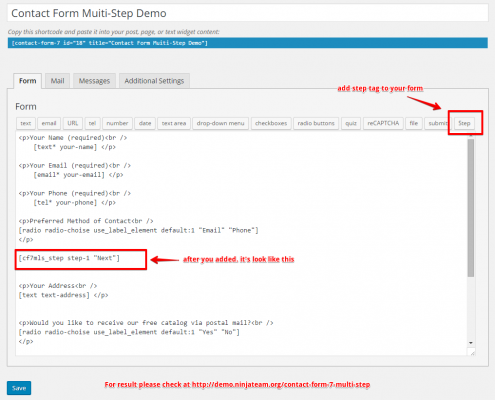 As I said at the beginning, I’d be glad to help you if you have any questions relating to this plugin. 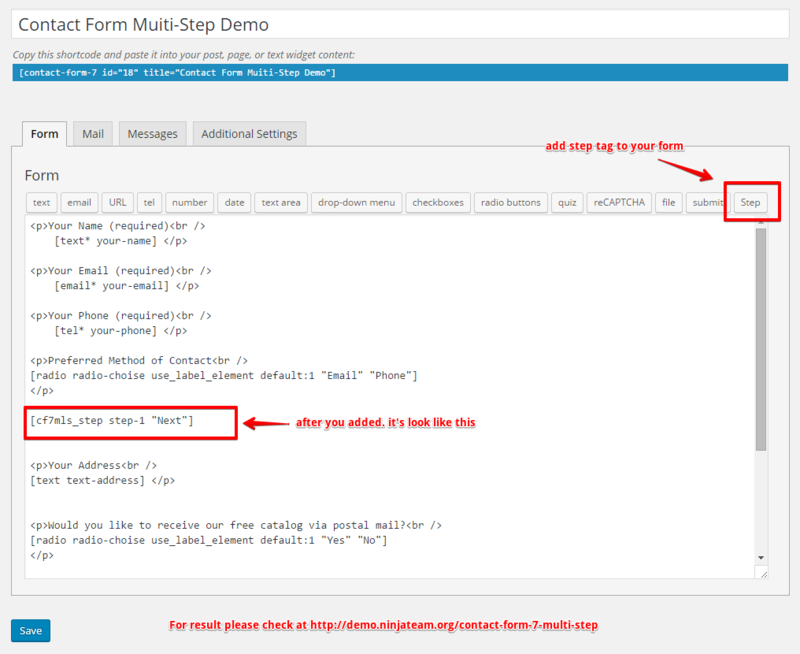 If you have a more general question relating to the plugins on CodeCanyon, you might consider visiting the forums and asking your question in the “Item Discussion” section.